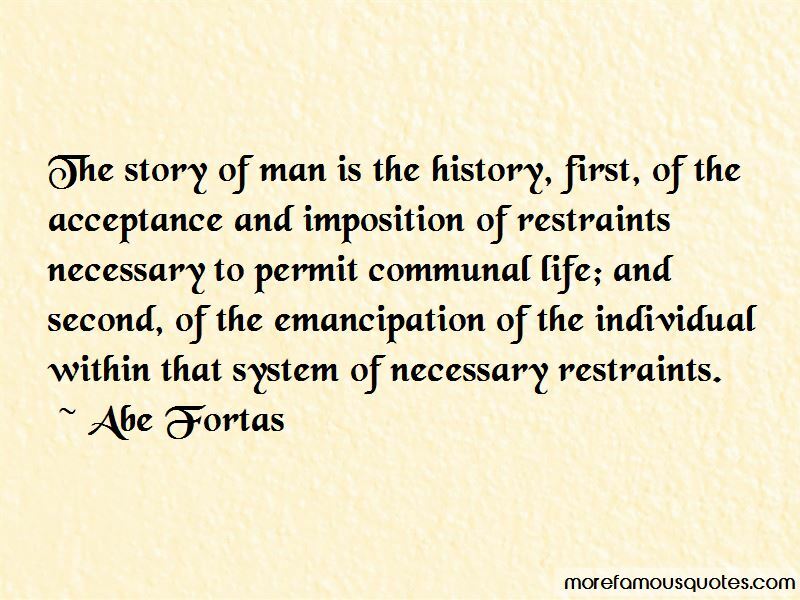 Enjoy the top 10 famous quotes, sayings and quotations by Abe Fortas. “Government in our democracy, state and national, must be neutral in matters of religious theory, doctrine, and practice. It may not be hostile to any religion or to the advocacy of no-religion; and it may not aid, foster, or promote one religion or religious theory against another or even against the militant opposite. The First Amendment mandates governmental neutrality between religion and religion, and between religion and nonreligion. 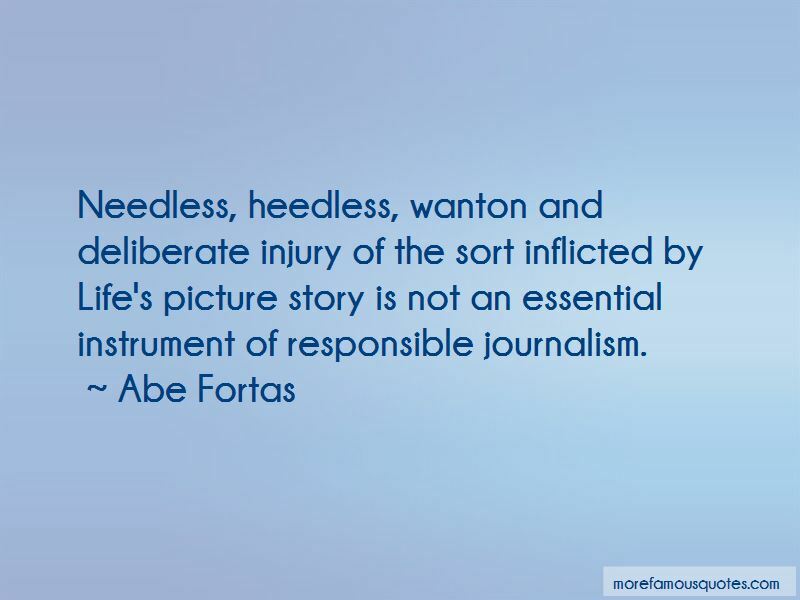 Want to see more pictures of Abe Fortas quotes? 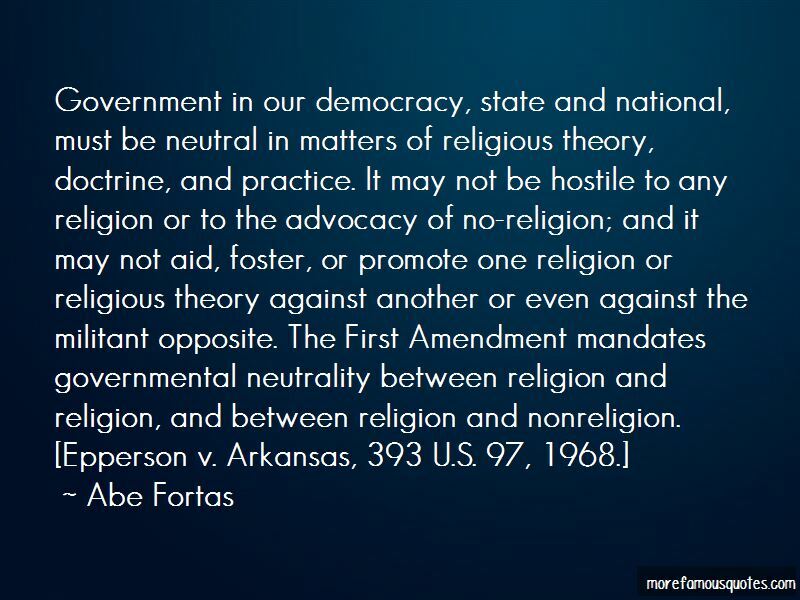 Click on image of Abe Fortas quotes to view full size.